Bad Hair Day? Hmmm... nobody have time for that! Well living in this hot & humid climate, we wash our hair quite often but do you know that using the wrong shampoo can makes our hair dull and dry. So recently Pantene launched their first ever Micellar Series in partnership with Watsons Malaysia. I’m sure some of you including myself using Micellar water to cleanse our face and makeup. It is very gentle and deep cleanse without stripping away the skin hydration, because it’s water after all. And now we have Micellar Shampoo which means we can treat our hair with the same level of care as our skin. Pantene Pro-V Micellar shampoo and conditioner pair with the ‘Gentle’ and ‘Effective’ cleansing benefits of Micellar technology is the latest solution for truly clean hair from root to tips without stripping hair from its natural moisture. Plus the Pro-V formula that nourishes the hair with vitamins and antioxidants. 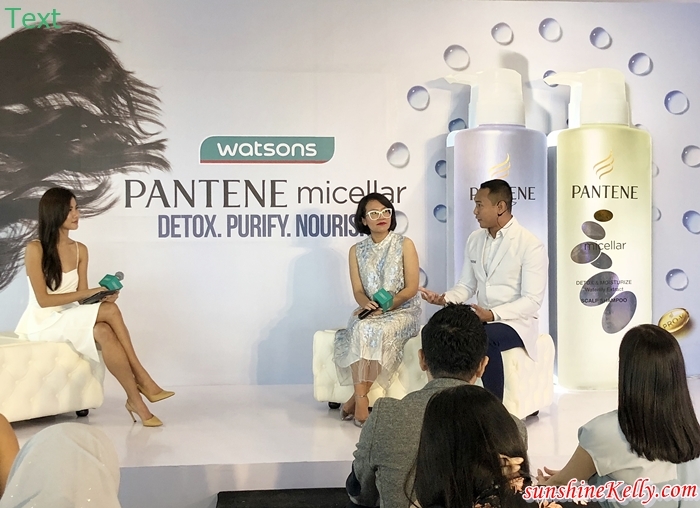 So basically, this newly launched Pantene Pro-V’s Micellar Water hair care range is available in 2 collections ~ Detox & Purify for normal to oily hair and Detox & Moisture for dry hair tips. And it's at a very affordable price, so now we can to maintain clean, fresh and moisture hair everyday without woes. 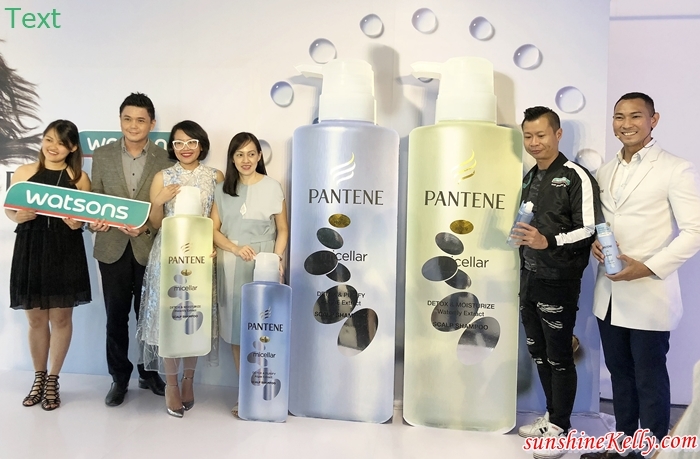 Pantene Micellar Shampoo series are available in two different sizes where 300ml is priced at RM24.50 and 530ml priced at RM35.90 for each shampoo and conditioner. From 15th to 18th Jan, Watsons online store offers pre-order sales for Pantene Micellar 530ml pack (shampoo and conditioner) for only RM50 under Gift-with-Purchase deal. The first 100 Watsons Elite members can even enjoy free hair salon vouchers too. You can purchase Pantene Micellar Series at all Watsons stores and also online. I really love your pants dear!